You may have read in Sactown Magazine that we were set to reopen on Saturday, September 27. 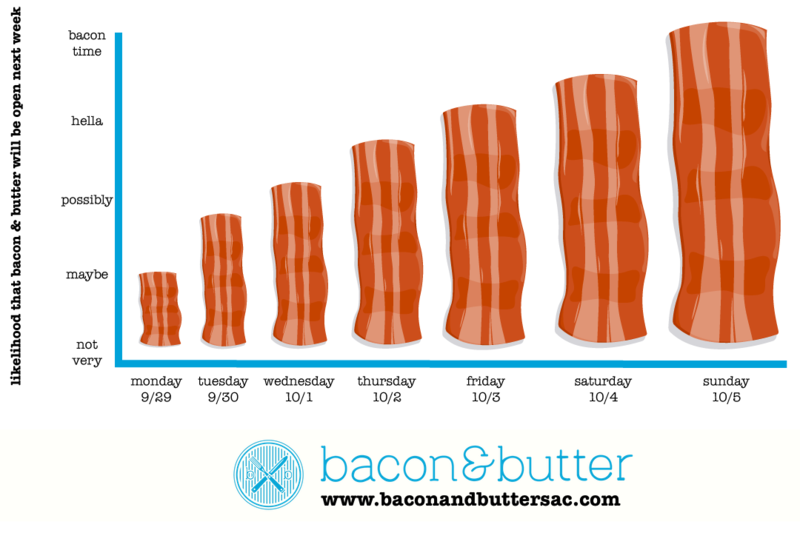 We’d love to be open by then, but that estimate will end up being few days off. We are SO close though. How close, you ask? 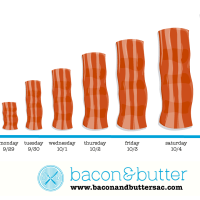 Let me show you how close with this handy bacon forecast chart. Stop by next week and say hi (and grab a bite).